JUST IN TIME FOR THE BLACK FRIDAY & CYBER MONDAY SALES! This episode is dedicated to everyone stackin’ your chips and makin’ each one you spend count. You wanna learn how to DJ, but don’t have the scratch to drop on a 4-deck Pioneer TOUR1 setup? Don’t worry, neither do we! One of the more common questions we get, is about quality beginner gear to get started on, that is also budget friendly. 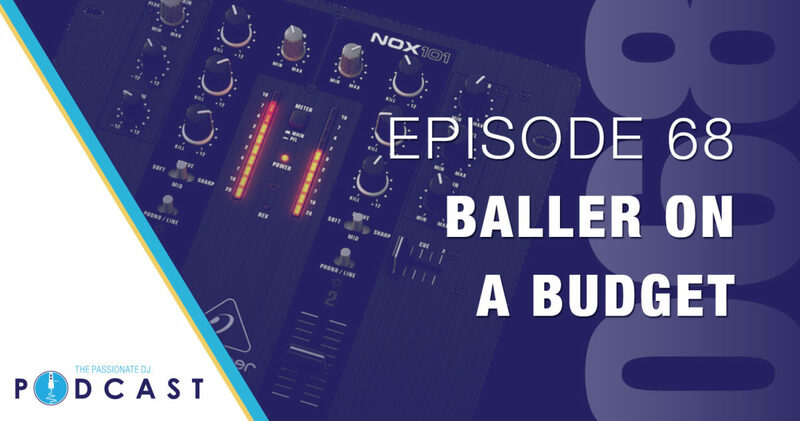 For Episode 68, we gave ourselves a (soft) $500 budget and put together 4 unique setups that would allow someone to get started DJing, learn the craft, and even play out some gigs. The only assumption we make, is that you will have some external audio source to hook up to. You’ll have to listen to the show for the explanations behind each piece of gear, but see below for the list we each came up with and the Amazon links to each bit of kit. Remember, we’re picking out competent gear to get started with for as little money as possible, here, not trying to list the best of the best. So, with that in mind, these suggestions are only a few of the infinite possibilities. Feel free to share your own experiences and ideas by writing or calling in! We *LOVE* your feedback! Please note that the pricing in the links below may be different from when we actually recorded this episode, and some of this gear can be easily found used on Ebay for less (which is what we did, for some of the gear we mentioned, in order to stay in the budget).